Two leaders in the CCTV, video analytics, biometrics and access control world have formalised their partnership. Tensor plc has signed an agreement to become EyeLynx Limited’s second official channel partner, under which EyeLynx has completed a bi-directional integration of Tensor’s security and access control solutions into its iconic SharpView video recording and management software. 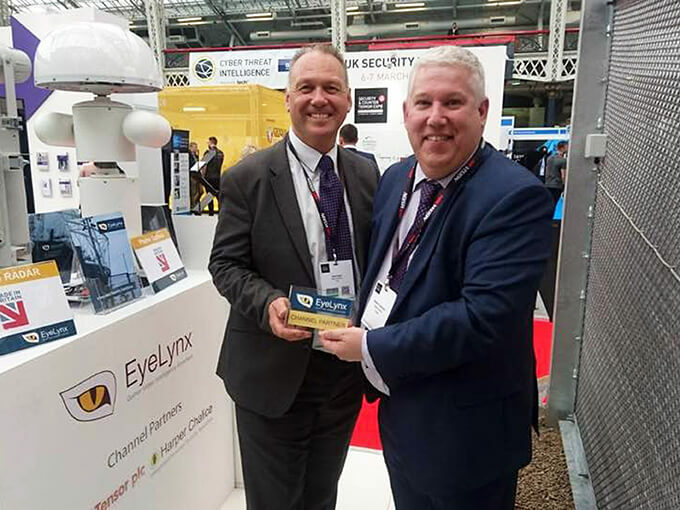 They formally unveiled their partnership at the Security & Counter Terror Expo (SCTX), where EyeLynx parent the Zaun Group, a PSSA member, and partners were exhibiting at SCTX for two days. Tensor engineers have been trained to operate the SharpView system and give training to the end user. A further partner agreement is planned with Tensor Indonesia.